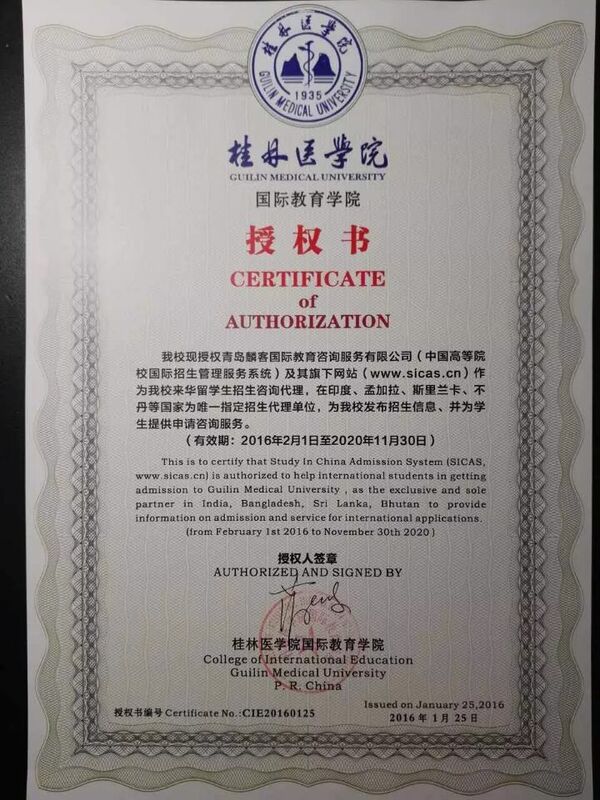 Located in the historical and tourist city — Guilin, which is world well-known for its unique beauty of hills and rivers, Guilin Medical University (GMU) is a public funded university and run by Guangxi Zhuang Autonomous Region, P.R. China.The university has 20 dependent colleges and departments, including College of Basic Medicine, College of Clinical Medicine, College of Pharmacy, College of Biotechnology, College of Nursing, College of Public Health, School of Graduate Study, College of Further Education, College of International Education, School of Humanities and Management, 6 affiliated hospitals,22 teaching hospitals and 94 teaching and practice units, etc..
After nearly eighty years of construction and development, the university has cultivated a great number of excellent medical professionals and researchers, made a big contribution to the medical care and health service of Guangxi and the Country. The reputation of the university is being increased year by year, and the university is now well-recognized and approved by the society. It gradually paves its own unique way to run a successful medical university. SICAS recommended this university.